سواءً كنت مسافراً بغرض السياحة أو العمل, Ibis Tainui Hamilton Hotel هو خيار عظيم للإقامة خلال زيارتك هاملتون. يمكن من هنا للضيوف الاستمتاع بسهولة الوصول إلى كل ما تقدمه هذه المدينة النابضة بالحياة. سوف يعشق النزلاء موقع هذا الفندق، فهو قريب من أهم المعالم السياحية في المدينة كمثل Hamilton Night Market, سينما فكتوريان, ارتز بوست . 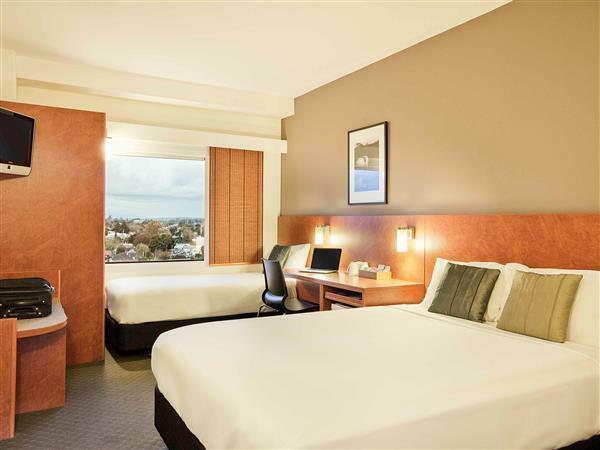 كما يقدم Ibis Tainui Hamilton Hotel الكثير من الخدمات لإغناء رحلتك في هاملتون. يمكن للنزلاء الاستمتاع بالميزات التالية: مرافق مخصصة لذوي الاحتياجات الخاصة, صف السيارات, رعاية أطفال, مطعم, خدمة غسيل الملابس أثناء إقامتهم في هذا المكان الرائع. بالإضافة لهذا,تتضمن كل غرف الضيوف مجموعة واسعة من وسائل الراحة . بعض الغرف توفر حتى تلفزيون بشاشة مسطحة, غرف لغير المدخنين, مكيف هواء, تدفئة, مكتب لإرضاء أكثر الضيوف تطلباً. يقدم الفندق مجموعة واسعة من وسائل الراحة المتنوعة، كمثل: تدليك, غرفة بخار. 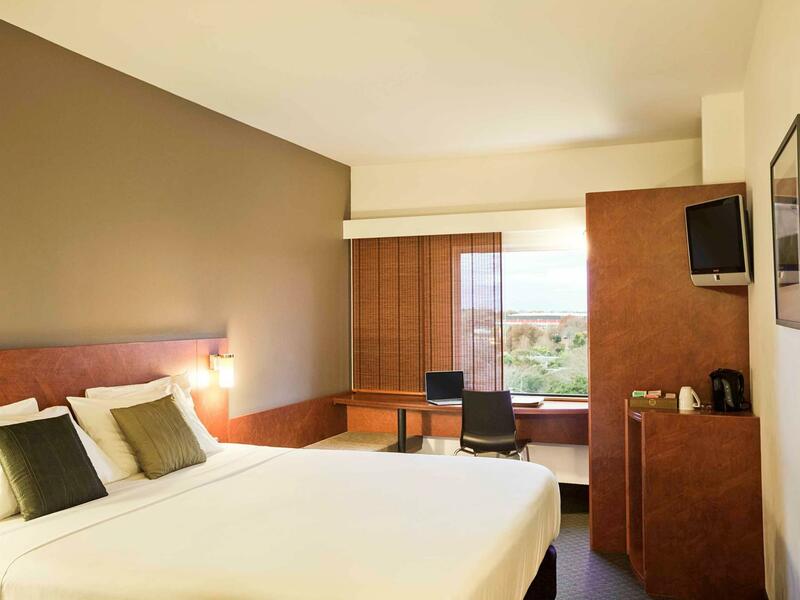 اكتشف مزيجاً ساحراً من الخدمة الاحترافية والخيارات الواسعة من وسائل الراحة والمتعة في Ibis Tainui Hamilton Hotel. We had a good, comfortable experience here.. Loved their promo for $5 drinks at the bar from 5-6pm, which brought in a decent crowd during our summer stay. The rate was very affordable; however, it didn't include free wifi for each room (I believe there was a public wifi option available but was hoping for a more secure option). Additionally, there's no free parking and valet costs $20NZD per day. Staff: very disapointed. They has racial discrimination. No free internet and car park. Not clean. 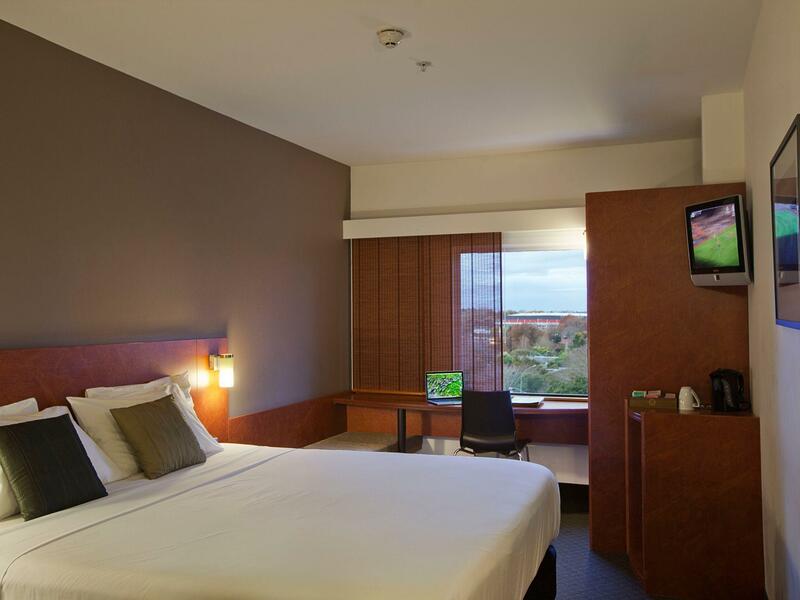 Location, Food, clean & tidy rooms. Our overall stay was good, but I was very disappointed with the hidden charges we had to pay, eg; $ 25 for valet parking was a bit rich. If this was listed in the Hotel advertising I would not have got upset. Also they wanted a deposit on our Bankcard before we could stay there and when we used it we were then charged a credit surcharge. Not happy. Small rooms, but clean and comfortable. More than adequate for a night. The rooms were good but small, but it is as expected from ibis. Not much service either, and the only option for parking is valet parking which is quite costly. Location is great. Overall if you're just looking for a place to stay for the best price this is a good hotel. The hotel was clean and there was a desktop for guests' use, which was immensely helpful. The location is super convenient and it is a stone's throw from the town area and eateries. There was also a shopping mall right across the street. The room was also quiet and the whole hotel was smoke free. 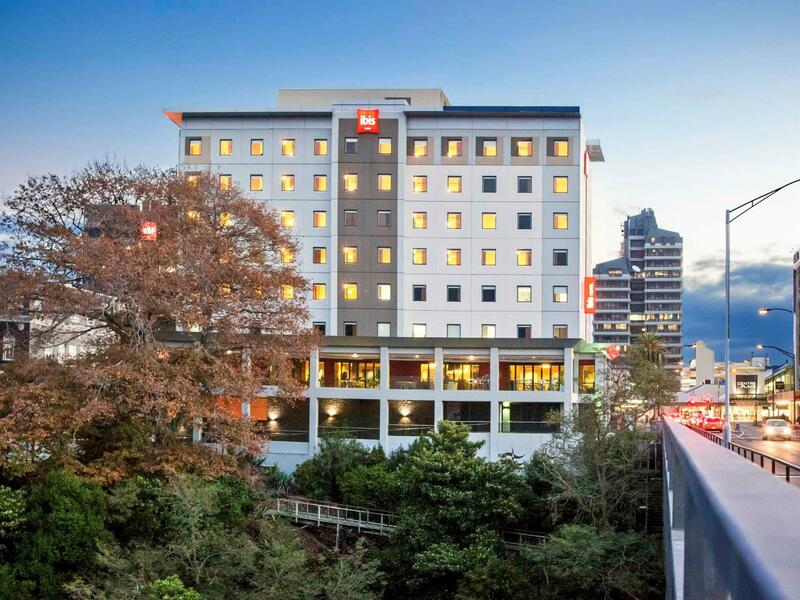 Had a lovely over-nighter at the Ibis Tainui Hamilton Hotel. Decided to have dinner at the hotel restaurant instead of going down the road - great idea as the hotel restaurant was quiet (ie not noisy), and the food and restaurant service was excellent. Our room and bed was comfortable. Was surprised at the extra cost for parking (valet parking only at $20); and was politely directed off-site for self-parking down the road at $15. The extra $ for parking made it less affordable and competitive. Wouldn't spend the extra again for the river view; a big oak tree blocks the view from many rooms; had to lean over the counter and put my head on the window to see the river further along. Clean and quiet though. Basically a nice Hotel with some good views. Located central city but can be a little hard to find. Breakfast was quite good and freshly cooked. Generally staff helpful and pleasant but some need to pay attention to customers when dealing with them, not talking with other staff. Parking is a bit limited. Best part of this hotel is the restaurant opens until 10pm, so if your flight delays you'll still be able to get a hot meal at the end of the day. The hotel was clean and smoke free. There was also a very popular shopping mall within easy distance. Very recommended to stay. Check in was drawn out. Not enough staff to cope with just 3 people checking in. Paid for a room on the top floor in a river view king room. Rubbish was still in the bins from previous guests, no towels or bath mats in the room and hairs on the bed and make up on the vanity tops. Called to get towels etc and got told "oh sometimes the rooms are of completely made" cleaning staff were quick to drop off two towels only. Parking is expensive considering it is Hamilton. Check out took a long time about 20 minutes just to get to desk to get car returned and hand in a key. One of the good points was its location to the CBD which is probably why this hotel has good ratings. Nice central location was able to walk everywhere. Breakfast was lovely and staff friendly. Did request 2 double beds upon booking and was advised when checking in this was the bed configuration however when entering the room there were 2 singles. Given it was late when we checked in I couldn’t be bothered changing. One other disappointment was room service is offered but something as simple as a request for a cold drink (sprite, bottled water) to be delivered to the room was not available so had to venture out at 11pm. A part from that our stay was satisfactory.